I have made a few Lego structures in my life and I sure sure you have if you are a Lego fan but physiology professor Paul has taken his obsession about the Ohio Stadium to new Lego heights. 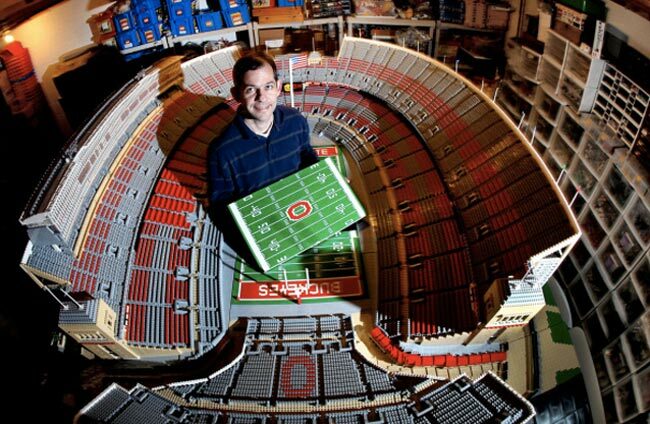 Creating a 1:100 scale model of the Ohio Stadium completely out of Lego bricks, taking him two years to completed and thought to be around $75,000 worth of new Lego bricks. Paul’s impressive creation measures 2.4m by 1.8m and has been completed using a selection of ne and second hand bricks purchased through traders sites. Pauls is now going to exhibit his creation on his university’s campus, using it to fundraise for heart failure and muscular dystrophy research.